Continuing education credits are used by professionals in many fields to demonstrate that they have continued to gain new knowledge and update their professional licenses as the years pass. 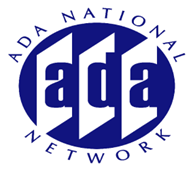 The Great Lakes ADA Center offers continuing education credit for both live sessions and a selection of recorded sessions. Please review the information below to see how continuing education can help you meet your professional goals.